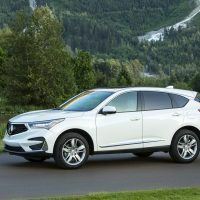 The 2019 Acura RDX, which debuted at the New York International Auto Show earlier this year, has landed on the showfloor. 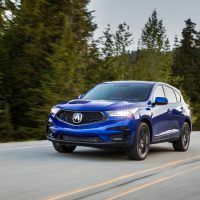 This new RDX is the product of an extensive overhaul, being designed and built under Acura’s Precision Crafted Performance mantra. 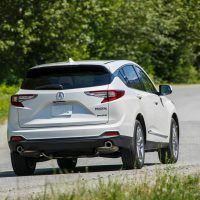 The 2019 RDX features a VTEC Turbo engine, 10-speed transmission, and an available torque vectoring all-wheel drive system. The A-Spec variant is there for those who want a bit more flash and flare. 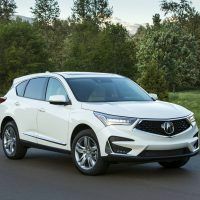 The 2019 RDX is the first to fully encompass Acura’s new exterior and interior design language – diehard fans may remember the Acura Precision Concept and Acura Precision Cockpit – it is, in essence, a combining of those two elements. 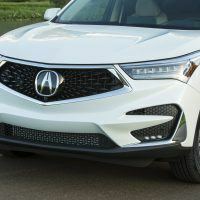 Acura opted for a more athletic stance, achieved by the longer wheelbase, shortened front overhang, and overall wider track. The brand’s signature diamond pentagon grille is seen as are the NSX-inspired front air curtains. Authentic brushed aluminum, stainless steel, and Olive Ash wood accents grace the inside to compliment the sport seats and panoramic moonroof. Opt for the Technology Package and the Advance Package and receive a literal boatload of amenities: 16-way power adjustable heated and ventilated front seats, a 10.5-inch full-color heads-up display, birds-eye view camera, and a 16-channel, 710-watt premium audio system among others. On-board 4GLTE Wi-Fi enables a variety of cloud-based services like emergency roadside assistance, remote locking/unlocking, stolen vehicle tracking, and geofencing. Acura’s True Touchpad Interface combines conventional touchscreen and remote-based approaches from its perch atop the center console. 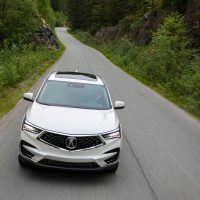 Every cake has icing and the 2019 Acura RDX is no exception. The icing here is the direct-injected and turbocharged engine under the hood. 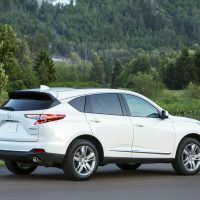 The 2.0-liter, 16-valve powerplant with its patented DOHC VTEC valvetrain creates 272 horsepower and 280 lb-ft. of torque. 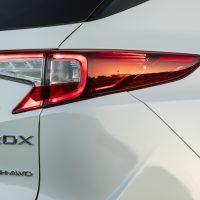 It’s mated to the segment’s only 10-speed automatic transmission and delivers a whopping 40 percent more low-end torque than the outgoing V6. 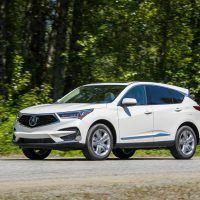 Where the RDX cake really gets sweet is with Super Handling All-Wheel Drive, an available torque vectoring system often written as “SH-AWD.” It’s not the most creative name but we give Acura props for being blunt. SH-AWD does exactly what it says: makes the handling superb. 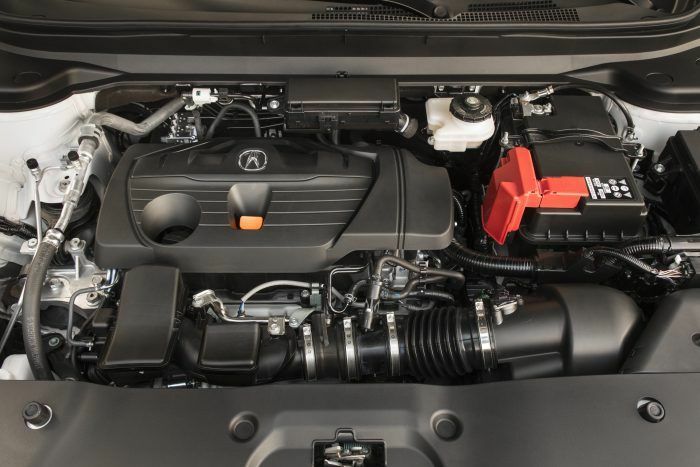 This next-generation SH-AWD system ups rear-wheel torque capacity 40 percent over the prior model. 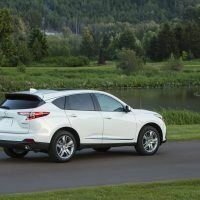 Now, up to 70 percent of the available torque can be distributed to the rear wheels, and up to 100 percent of that torque can be distributed to either the right-rear or left-rear wheel. 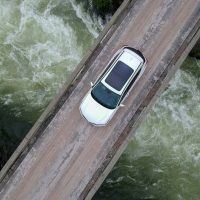 This will give drivers a feeling of stability, security, and control. 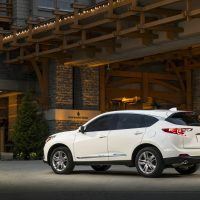 Available drive modes include Snow, Comfort, Sport, and Sport+, each one changing up the overall dynamics of the vehicle to suit differing road conditions. 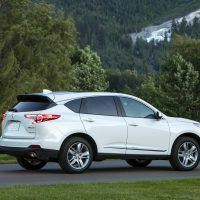 The drive modes utilize the Drive-by-Wire throttle, transmission, electric power steering, traction and sound control, and if equipped, the SH-AWD system accordingly. 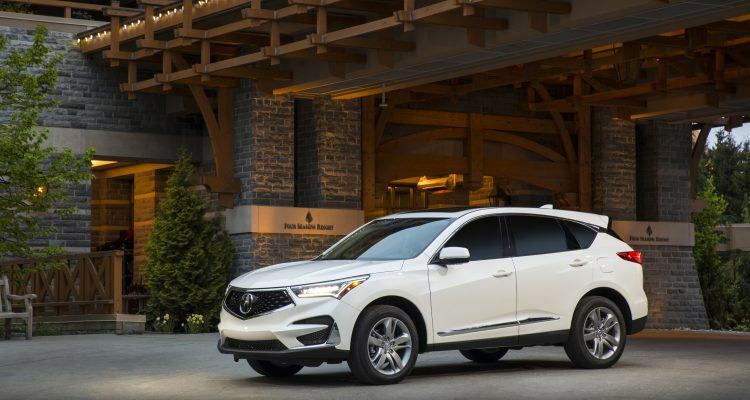 The 2019 Acura RDX is available now with a starting MSRP of $38,295. 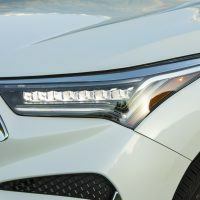 The new RDX was designed at the Acura Design Studio in Los Angeles, California, developed in Raymond, Ohio, and is manufactured in East Liberty, Ohio. 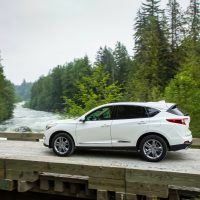 No Comments on "2019 Acura RDX Hits Dealerships: A Brief Walk Around"